The issues pharmaceutical companies face from Regulators or from the marketplace are always changing and the one constant need is to find high calibre people who can handle all challenges better and faster than the competition. D & R CONSULTING LTD. has a long history in the pharma sector, working with a wide range of companies and across all major job functions. Our company has helped many pharmaceutical organizations find key leaders and build professional teams, identifying and attracting individuals to lead medical, administrative and business divisions. Our extended experience within the pharma industry makes us capable to identify, contact and secure to our clients the people they need, be they in any function from research to marketing and sales or IT. Our database system is structured from top/middle management to specialists and sales positions, but also by vertical speciality (oncology, cardiology, psychiatry, vaccine, OTC, antibiotics etc). Moreover, our regional structure enables us to process with cross border searches for middle to top management positions. The challenges faced by the technology sector vary. However, technical talent is always a key success factor, whether the client is a large multinational technology group, a start-up or an industrial or service company in the course of rethinking its information systems. D & R CONSULTING LTD. is able to provide quality IT&C professionals with varying levels of experience in all the major IT&C sectors, which also includes professionals with niche skill sets. Our innovative recruiting methods ensure access to the best professionals available in IT and Communications. We know how critical it is to keep the application development and infrastructure projects moving forward. Therefore we work in conjunction with our Clients to understand their business goals as well as their current and future resourcing needs in order to deliver tailored resourcing strategies. We are able to asses also technical requirements of IT&C jobs. In response to the increasingly important role of Central and Eastern Europe in the Engineering and Construction industries, we have assisted clients in these emerging markets by performing local and international assignments. Our Engineering & Construction expertise allows us to provide for all your recruitment requirements sourcing people who are multi-disciplined and looking to make a difference within your organisation. Our expertise within technical engineering recruitment is in the provision of staff throughout the engineering industry including: civil/structural (concrete and steelwork ) engineering, architectural, building services, CAD technicians, electrical, infrastructure, instrumentation and control systems, mechanical, piping, planning & project controls, process and technical administration. By including energy and utilities in our E&C specialization we aim to help corporations to face intense market and competitive pressures in the area. One of the things that set us apart is our ability to asses also technical requirements from most of the E&C jobs. In an ongoing effort to expand operations and achieve continuous growth, companies are developing new products, entering new markets and expanding their channels of distribution. To succeed, they must quikly implement sophisticated strategies for product development, integrated marketing, promotion, distribution and sales and thus they need innovative leaders and top executives that keep pace with market evolution. We have a strong history of working with top companies, food and non-food, and whether you're a manufacturer of consumer goods, a wholesaler, retailer or distributor, we can help you by recruiting the right people into your organisation. We have successfully recruited at the highest levels of client companies - including top-level CEOs - and the areas of recruitment we can cover includes key functions as well as specialist roles in commercial supply chain management, sales, retail and wholesale, merchandising, PR and communications, marketing, brand management, media planning, strategic planning, consumer manufacturing, research and development, logistics. In the fast changing environment of advertising and corporate communications, it is critical to have a recruiter who truly understands your needs. We know timing is an extremely crucial factor in media, advertising and communication industry. We also know that business in this industry are perpetually in need of fresh talent and we have demonstrated the ability to locate and attract talented professionals and match them perfectly with client cultures to optimize their creativity and their productivity. We combine proven expertise with a discreet, honest and proactive approach and we help clients build teams that cover the full range of cap abilities demanded in the industry. Financial services organisations today face challenging issues such as sceptical customers, uncertain markets, new technologies. A lack of skilled or experienced applicants and competition from other firms add to the pressure felt by these organisations. We know that recruiting experienced professionals and technical staff is the biggest challenge financial services organisations face. These employees are central to product and service development, but obtaining their expertise is neither easy nor cheap. Not only are competent specialists few in number, but the demand for their services also tends to rise faster than the development of new talents. Our consultants are always up-to-date with the very latest developments and trends within the individual, fast-moving financial marketplaces. They undestand the needs of a complex market and the importance of identifying, retaining and managing the right talent to help financial services organisations achieve and exceed expectations of their stakeholders. 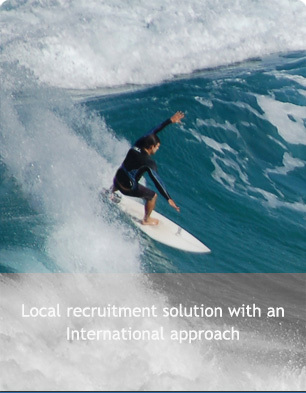 From traditional banks and insurance companies to complex global asset management companies, we can help you win the war for talent.